The back of the shirt buttons at the top and has an circular opening exposing some back. 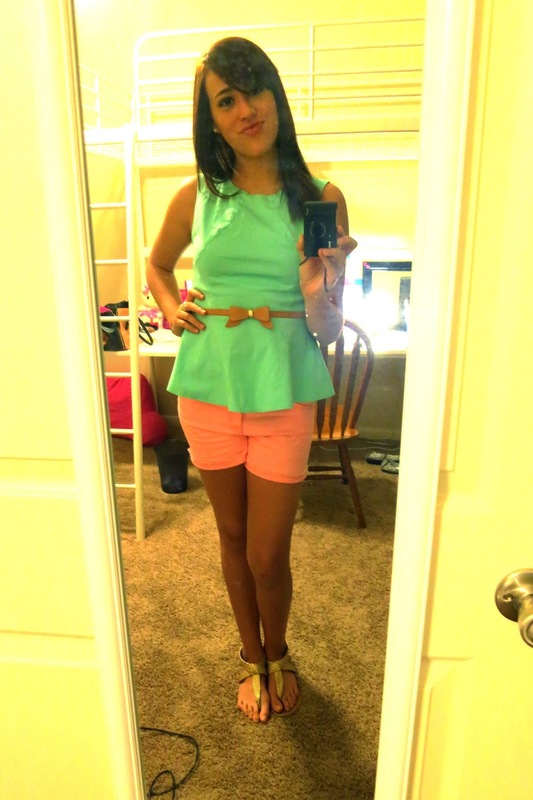 The shorts are a Coral or Peach color that I got at Justice (i worked there :) ). and I later added a gold bracelet. I did not wear a necklace because the shirt is too high and the necklace would look weird. This shirt is from Marshall's ! So it was definitely a good price. Hope you like my outfit of the day. I really enjoy this cute outfit to go out anytime.